Your 401(k) plan may be your key to a comfortable retirement. This article explains how they work. 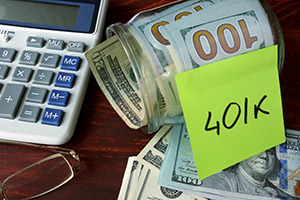 As more Americans shoulder the responsibility of funding their own retirement, many rely increasingly on their 401(k) retirement plans to provide the means to pursue their investment goals. That’s because 401(k) plans offer a variety of attractive features that make investing for the future easy and potentially profitable. A 401(k) plan is an employee-funded savings plan for retirement. For 2015, a 401(k) plan allows you to contribute up to $18,000 of your salary to a special account set up by your company, although individual plans may have lower limits on the amount you can contribute. Individuals aged 50 and older can contribute an additional $6,000 in 2015, so-called “catch up” contributions. How are 401(k) plans taxed? 401(k) plans come in two varieties: traditional and Roth-style plans. A traditional 401(k) plan allows you to defer taxes on the portion of your salary contributed to the plan until the funds are withdrawn in retirement, at which point contributions and earnings are taxed as ordinary income. In addition, because the amount of your pretax contribution is deducted directly from your paycheck, your taxable income is reduced, which in turn lowers your tax burden. A Roth 401(k) plan features after-tax contributions, but tax-free withdrawals in retirement. Under a Roth plan, there is no immediate tax benefit. However, plan balances have the potential to grow tax free; you pay no taxes on qualified distributions. Both traditional and Roth plans require that distributions be taken after 59½ (or age 55 if you are separating from service with the employer from whose plan the distributions are withdrawn), although there are certain exceptions for hardship withdrawals. If a distribution is not qualified, a 10% IRS additional federal tax will apply in addition to ordinary income taxes on all pretax contributions and earnings. The first three options generally entail no immediate tax consequences; however, taking a cash distribution will usually trigger 20% withholding, a 10% additional federal tax if taken before age 59½, and ordinary income tax on pretax contributions and earnings. Most plans provide you with several options in which to invest your contributions. Such options may include stocks for growth, bonds for income, or cash equivalents for protection of principal. This flexibility allows you to spread out your contributions, or diversify, among different types of investments, which can help keep your retirement portfolio from being overly susceptible to different events that could affect the markets. A 401(k) plan can become the cornerstone of your personal retirement savings program, providing the foundation for your financial future. Curious to find out if a 401(k) plan would make sense for your business? Send us an email at info@meritage-wealth.com or give us a call at 925-292-5936 to talk about how we can help. Stock investing involves risk including loss of principal. Bonds are subject to market and interest rate risk if sold prior to maturity. Bond values will decline as interest rates rise and bonds are subject to availability and change in price. An investment in a money market fund is not insured or guaranteed by the Federal Deposit Insurance Corporation or any other government agency. Although the fund may seek to preserve the value of your investment at $1.00 per share, it is possible to lose money by investing in the fund. Diversification and asset allocation do not ensure a profit or protect against a loss.